Sen. Ita Enang, the Senor Special Assistant to the President on National Assembly Matters(Senate) has said that he did not propose the use of the 2011 Standing Rule for the inauguration of 9th National Assembly. Enang, gave the clarification in a statement on Monday in Abuja. 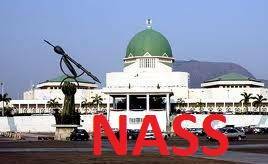 “At no time did I say that the National Assembly should use the 2011 standing orders to inaugurate the 9th Assembly. “That is outside my mandate, either as functionary of the Government or as presenter on the occasion. “I pray that all persons expressing opinion on the current and incoming legislature should please accord same decorum due legislators and the Legislature. 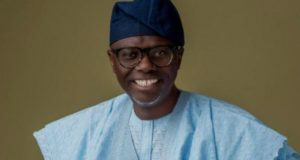 He noted that a substantial part of the body of the story were submissions he made during the orientation programme for national assembly members-elect, but that the headline was at variance with the story and against his submissions. “As liaison, for every person relating with the legislature and legislators, our words and intervention should be solving, temperate, conciliatory, warm, inviting and deferring to the distinguished and honourable members. “I therefore, would not use words of the nature referenced, more so , as the legislators-elect of both majority and minority parties on the floor of each chambers have closed ranks across party lines. ” As they have resolved to act in the best interest of parliamentary tradition as one house narrowing party divide, in the interest of the Nation, all towards the expected end. “At the orientation seminar, I delivered a paper on Parliamentary practice,”he said. Enang further said: “His Excellency, Sen. Ike Ekweremadu, the Deputy President of the Senate was the chairman of the session. “An issue arose as to the Senate or House Rules being used during inauguration of the Assembly. ” The issue was whether the rules left by the immediate proceeding Assembly or whether the Assembly to be inaugurated can amend their Rules or indeed make new rules to adopt method of voting. “The Deputy Senate President submitted that the management can make new Rules and use same during the inauguration of the new Assembly. 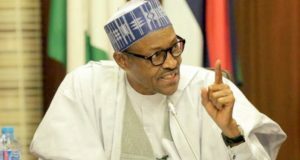 “I however said in view of the provision of Section 60 of the 1999 Constitution, the management or clerk cannot make new rules during the interregnum between the presidential proclamation dissolving the Assembly and another presidential proclamation convening the Assembly. 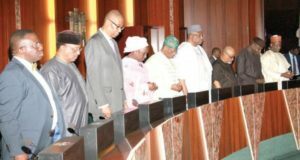 “And that the National Assembly referred to in the constitution refers to elected members who have been sworn in and taken seats, and not management.